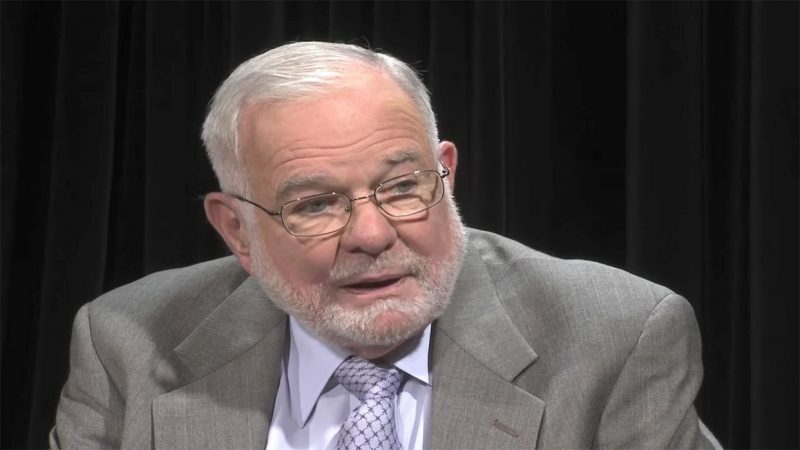 George Lardner Jr. worked as an investigative reporter at The Washington Post for more than 40 years, where he covered beats from Congress and the White House, the FBI and the CIA, to Mafia trials, political assassinations and civil rights. After the murder of Lardner’s youngest daughter, Kristin, in 1992, Lardner undertook an investigation of the murder and the shortcomings of the criminal justice system, for which he won a Pulitzer Prize; later he expanded the series into a book, “The Stalking of Kristin.” Lardner is now working on a book about the history of presidential pardon power, and is a scholar-in-residence at American University’s Investigative Reporting Workshop in Washington, D.C. The assassination of John F. Kennedy and its subsequent controversy led to what would become a lifelong assignment for George Lardner. George Lardner talks about how the murder of his youngest daughter, Kristin, led him to undertake an investigation of the murder and the shortcomings of the criminal justice system. While growing up in New York City, Lardner is surrounded by the influence of prestigious writers in the family. His great uncle, Ring Lardner, writes columns, short stories and covers sports; screenwriter Ring Jr. wins an Academy Award for "Woman of the Year," and another of Ring’s sons, John, writes a weeky column for Newsweek. His father, George Lardner, writes golf columns for the Bell Syndicate and the North American Newspaper Alliance, where he also works as an editor. Lardner graduates from Regis, a Jesuit high school in New York, in 1952 and attends Marquette University in Milwaukee, Wis., on a partial scholarship. After receiving a bachelor’s degree in journalism from Marquette and attending graduate school there, Lardner buys a yearbook listing all the daily newspapers in the country and starts writing letters looking for a writing job. He is hired by the Worcester Telegram in Massachusetts, where he becomes a reporter, and after a few months, starts working as an assistant night city editor without the title. One day, when it’s 16 degrees below zero in Worcester, Lardner starts thinking of Florida. He writes to ask for a job at the Miami Herald and is hired after an interview with Al Neuharth, then the deputy managing editor. He starts at the Fort Lauderdale bureau and moves on to the city staff. He covers county government and the criminal courts in Lauderdale and then the metropolitan government and courts for Dade County. His biggest stories deal with the dismissal of the county manager, who was too independent-minded for the Metro commissioners who hired him. Looking for bigger assignments, Lardner writes a letter to The Washington Post and arrives in February 1963, when Russ Wiggins is editor and Al Friendly is managing editor. One of Lardner’s early assignments was to write a color story about John F. Kennedy’s commencement address at American University about the need for world peace. Kennedy was assassinated a few months later. Lardner was covering JFK’s funeral procession through downtown when word spread through the crowd that his suspected killer, Lee Harvey Oswald, had just been shot to death in Dallas. The president’s murder and the endless controversy over it led to what would become a lifelong assignment for Lardner. Lardner’s civil rights reporting included the drive-by murder of Washington, D.C., educator Lemuel Penn in Georgia, the trial and acquittal of his killers in rural Danielsville and a triumphal Ku Klux Klan rally on Stone Mountain after the verdicts. He also covered the Rev. Martin Luther King’s efforts to desegregate the beach in St. Augustine, Fla., and James Meredith’s Mississippi Freedom March, which began in 1966 with a sniper attack on Meredith but prompted some 4,000 black Mississippians to register to vote. Lardner, of dozens of reporters sent to the march, interviewed Klansmen along the route. Lardner is asked to write a column on issues of his choice involving the District, Maryland and Virginia. Lardner starts writing five columns a week that appeared under his name for more than a year. Lardner decides the column is too confining and gives it up to be a reporter on the national staff. In addition to the Kennedy assassination and its aftermath, Lardner covers the fallout from President Nixon’s resignation in 1973 throughout the rest of his time at the Post. He goes to the National Archives for a first-hand examination of Kennedy’s shirt and tie, covers congressional investigations of the Warren Commission’s work, and is the first reporter to discover that on the same day Kennedy was killed in Dallas, the CIA was handing one of its operatives a poison pen to be used against Fidel Castro. During the investigations of Kennedy’s murder, Lardner gets sent to New Orleans, where he makes a late-night trip to the flat of David Ferrie, the chief suspect in District Attorney Jim Garrison’s controversial investigation. Ferrie denounced Garrison’s investigation and vowed to fight it, and Lardner was the last person to see him alive. Over the years after Nixon’s departure, Lardner finds one story after another by digging into the former president’s records and listening to his secret White House tapes as they become available at the National Archives. Other stories that he covered, often from an investigative aspect, included the assassination of Robert Kennedy; the presidential campaigns of George Wallace; the tragedy at Chappaquiddick; various trials and investigations of Mafia and labor racketeering figures; inquiries into misdeeds of the FBI and the CIA; the scandalous behavior of the FBI and the U.S. Marshal’s Service at Ruby Ridge; the Watergate cover-up trial; and most of the special prosecutor investigations of the 1970s, 1980s and 1990s, from Archibald Cox’s investigation of Richard Nixon to Lawrence Walsh’s investigation of the Iran-contra scandal, including the trial of Oliver North. Lardner’s youngest daughter, Kristin Lardner, is murdered by ex-boyfriend Michael Cartier on May 30. Lardner goes to Boston, where he investigates the murder and writes about it and the shortcomings of the criminal justice system in the Post. He receives a Pulitzer Prize in 1993 for his reporting on the tragedy and expands the piece into a book, “The Stalking of Kristin.” It was subsequently published in paperback and in a Japanese edition. Lardner turns down an offer to make his daughter’s story into a movie. The Violence Against Women Act is passed, with a provision to deal with some of the problems that Kristin Lardner’s case illustrated. The act allows judges to delve into the background and records of perpetrators of domestic violence in a way that had not been allowed before. At the federal level, the act makes it a crime to cross state lines to commit domestic violence. Lardner retires from The Washington Post after working there as a staff writer, columnist and editor since 1963, having spent his final three years as a contract writer for the Post. Intrigued by the controversy of Bill Clinton’s last-minute pardons and the dearth of any books about presidential clemency, he has already started research for a history of the practice under a contract with Public Affairs, a New York-based publisher. In his work on the pardon project, he has encountered frequent resistance from the Justice Department and has filed several Freedom of Information lawsuits against the department, in one case winning a landmark decision from the U.S. Court of Appeals in Washington, D.C., that requires the disclosure of the names of those denied pardons. Lardner joins the American University’s Investigative Reporting Workshop in Washington, D.C., as a scholar-in-residence. He writes occasional columns for The Washington Post and The New York Times. Lardner serves as chairman of the Fund for Investigative Journalism from about 1992 to 2002, which provides grants to freelance journalists to expose governmental, corporate and institutional wrongdoing and failings. He is given Marquette University’s byline Award in 1976, and he wins an American Bar Association Award in 1977 for a series on the Freedom of Information Act, and Front Page Awards from the Washington-Baltimore Newspaper Guild for national reporting in 1984 on presidential candidate Gary Hart and in 1986 on Chief Justice-designate William Rehnguist. He is named a public policy fellow in 2005 at the Woodrow Wilson International Center for Scholars to work on his presidential pardon project and is awarded a residency in 2006 to continue his work at the Rockefeller Foundation’s Study and Conference Center in Bellagio, Italy. He then becomes an associate at the Center for the Study of the Presidency for several years, and more recently, scholar-in-residence at American University’s Investigative Reporting Workshop. He has written articles for Esquire, Reader’s Digest, the Atlantic Monthly, the New Republic, the Progressive and other magazines. He has given lectures in many states on the issue of domestic and dating violence, and he has written about the pardon power in legal journals, such as the Federal Sentencing Reporter and the Capital University Law Review. He was married to the late Rosemary Schalk Lardner for almost 50 years before her death in 2007. They had five children: Helen, Edmund, Richard, Charles and Kristin, and lived for most of that time in Washington, D.C.
1967 Byline Award, Marquette University, Milwaukee, Wis.
“The Stalking of Kristin: A Father Investigates the Murder of His Daughter.” New York: The Atlantic Monthly Press, 1995. Charles Lewis interview with George Lardner Jr. in 2012, Washington, D.C.